Here is a quick post about AirPrint Activator, iOS 6 and the AppStore. As some of you beta testers might have noticed the current release of AirPrint Activator (v2.2b5) does not work properly under iOS 6 beta. Don’t worry, there is a fix for it that was tested. Thank you for contacting the App Review Board. Your appeal has been reviewed. “Application Program Interface(s)” (API(s)) means the public interfaces which are designed to provide application access to certain features and functionality of OS X. The AirPrint protocol and specification is undocumented and does not have a public interface. 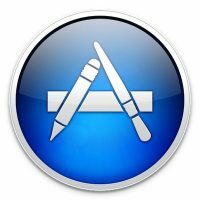 Apps that use undocumented protocols or API are in violation of the App Store Guidelines. As such we are unable to approve this app for inclusion in the Mac App Store. Obviously we disagree with the issue (we interact with iOS not OSX so we are not violating the Mac Developer agreement) but we suspect that we will no longer get anywhere with using the App Store to distribute this. So right now we are evaluating options. AirPrint Activator has been provided for free until now with many generous donators supporting the cause. As we spend more and more time improving and supporting the application we are evaluating the possibility of moving to a cheap license model. This would be a time based trialware. Unfortunately this would involve a lot of work to stand an e-commerce presence. We have many ideas for improving the application and adding much needed features but it will take time and effort. Nothing decided yet and would appreciate your thoughts on this. What is the fix for iOS6? Code change 😉 Apple has changed a few things that require some adjustments. Nothing too serious. Im ready to donate as soon as it works with IOS6. This software is truly amazing and I can see why apple doesn’t want it in it’s store. No need for a special AirPrint printer mean loss of revenue for them and their partners in airprint printers. I’m using this software a lot, and think it’s one of the best around. So, please continue developing it! I’m really willing to pay for a new, more featured version. it’s that good, haha. The good thing about not being on the AppStore is that we will be able to give a free copy to everyone who donated in the past 2 years! First I’d like to thank you guys for a great app! It’s a “Must Have”. I gave up on ink jets and bought a personal laser a few years ago, and had been cursing Brother for their lack of AirPrint support ever since until I found AirPrint Activator. It’s perfect for me because I have an old mini running a weather station 24/7, so now it acts as my print server too! I thought Lantronix’s xnetserver would be another good solution until I saw the price – Woof! Who wants to pay 150% of their printer cost just to enable printing. Personally, whomever heads the Airport hardware dept. in Apple should negotiate a license and add your software to the Airport Extreme’s firmware. I’d be willing to pay for this. But it’d be nice if airprint activator could be made into a system launch daemon so you don’t have to be logged in. This would be useful for people who use their macs (i.e. mac mini) as a server & rather than staying logged in, it can be run when the system boots to preserve RAM & also for the convenience of not having to log in. I’d like to echo this. Also, is there any automagical way to get rid of the annoying “software downloaded from the internet may be unsafe” message? After a bit of googling, I found a command to run (at least if you’re on 10.6 or 10.7) from the Terminal (sudo xattr -d -r com.apple.quarantine /Library/PreferencePanes/AirPrintActivatorPrefs.prefPane), but it would be nice to have it done (or have instructions for how to do it) during installation. Note: Running that command will prompt you for your password, and it won’t accept a blank one. Yes, system launch for airprint activator would make this complete. As to your other question, there is an easy way to do it using the utility tool, “OnyX.” Download it (it’s free), install, & go to “Parameters” tab, and then under the “General” tab look all the way at the bottom & it will say, “Remove the alert message on first launching applications downloaded from the internet.” You will want to check that. Then restart computer & you’re good to go. I really like AirPrint Activator, when I can get it to work. For example, my wife’s iPad 3 running iOS 5.whatever is current can SEE the printer, but all print request simply vanish. Nothing ever prints. I pull out my iphone, and I can print fine. When will the iOS 6 beta version be released? I tried every print app out there and for the life of me I can’t remember where I read about this one. Loaded it, and bamm! Went right to work print items from my iPad and iPhone. The best thing ever! Then….today I upgraded to Mountain Lion….I am back in sad mode. Will you be coming out with an update soon? I miss being in happy. Check your sharing options. Mountain Lion upgrade may have dumped your previous settings. Make sure all you want is there under Sharing preferences. Then open the AirPrintActivator preference panel and make sure it’s ON. I’d be glad to pay something for the product. A time trial to demonstrate value is always reassuring. Aside from that, I have no problem paying something for it. Sorry Apple has made your lives difficult. Is this normal? None of my printers show up, previously , they did. Was looking into why AirPrint Activator stopped working and discovered that the Mountain Lion install turned my printer sharing off. Perhaps you encountered something similar. Had the same problem and wondered if it was not compatible with Mountain Lion. When I checked my ‘sharing’ it seems that “it” had unchecked my printer. I checked it and now it’s working – whew! Thanks for the ONLY printer app that actually works with my iPad without having to jump thru hoops. You don’t install Activator on your iPad, but on your Mac. You print from your iPad to a printer connected via Wifi to your Mac. The app works and why should one not pay for it? It is the only solution that I have found that works!!!!!!!!!!!!!!!!!!!!! It even works with PenUltimate!!!!! any news about the compatibility with iOS 6 ? I Wait for IOS6 Fix!! This is a great app and I would be willing to pay $5-20 once for it, I would like some features like not needing to be logged in or the ability to use it while my mac sleeps like Apple’s software update while sleeping. About paying a little fee for the app, it is ok by me, but you must be aware that Apple may sue you on AirPrint licenses, if they found your app become too much known, making that “unwelcome” and effectively prone to ruin the Apple’s own AirPrint licensing business. My 2c.